Patsy Clairmont is a bookish woman who loves words and has a penchant for dark chocolate sorbet. A former agoraphobic, Patsy never imagined more adventure than just making it to the grocery store and safely home again. Instead, for the past 35 years she has been traipsing worldwide, speaking to millions of women, offering spiritual and emotional hope. Patsy lives in Tennessee, which fits her “like a cozy pair of cowgirl boots.” She delights in her two grown sons and two grand boys. 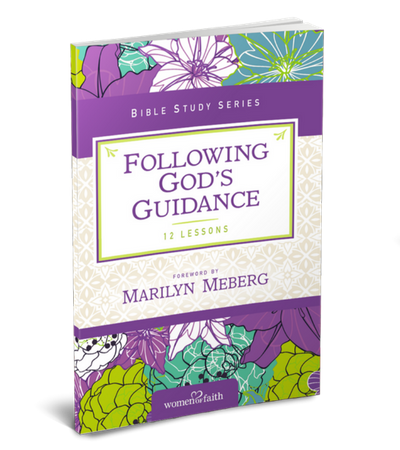 Margaret Feinberg is one of American’s most beloved Bible teachers. 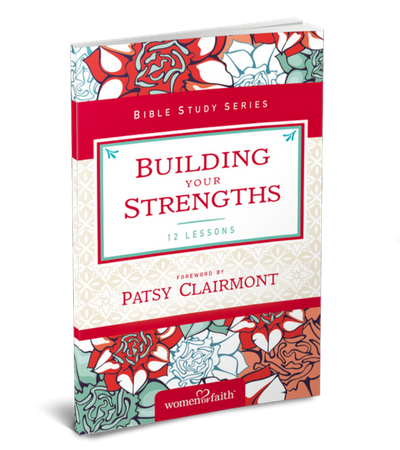 Her books and studies have sold more than one million copies, and she was recently named one of fifty women most shaping culture and the church today by Christianity Today. Margaret savors life with Leif, a pastor in Park City, Utah, and their superpup, Hershey. A self-described “hot mess,” Margaret believes some of the best days are spent in jammies, laughing, and being silly. 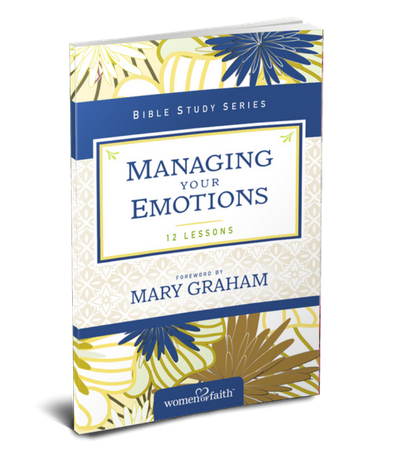 Mary Graham is best-known as the warm and welcoming person who created a safe space for the thousands of women at Women of Faith events. Originally, Mary travelled with the team as a volunteer while maintaining her day job with Campus Crusade for Christ International (now CRU). In 1998 Mary was named president of Women of Faith and for more than 13 years led the team of hundreds of employees, weekend event staff, production crew, and volunteers while also serving as event emcee. Nicole Johnson, like many women, has faced spirit-crushing challenges in her life: the divorce of her parents, childhood loneliness, and a difficult marriage that ended in a painful divorce. Her unique ability to portray the inner-most feelings of women facing life’s daily struggles has made her one of the most sought-after creative communicators in America today. A bestselling author, performer, and motivational speaker, Nicole lives in Santa Monica, California with her husband and two children. Christa Kinde is a cheerful homebody who believes in good manners, crazy socks, word games, cat naps, and postage stamps. But most of all, she believes in God. 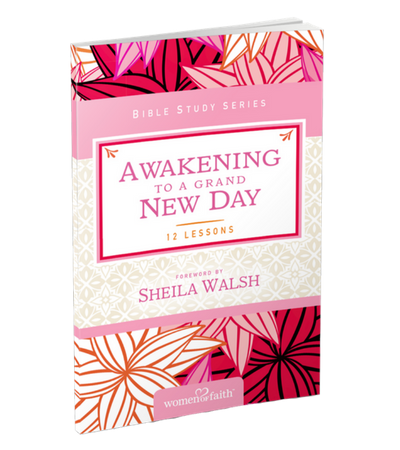 Making her home between misty mornings and brimming bookshelves in Southern California, she writes about her faith with studies, stories, and devotionals that bring truth into focus and give faith a practical spin. Marilyn Meberg’s previous roles include being a licensed counselor and a college English professor. Never one to avoid pulling a great prank, her stories of tormenting her fellow-Women of Faith speakers are legendary. Among her hobbies you will not find cooking—there is a pillow on her kitchen counter that reads, “I only have a kitchen because it came with the house.” She currently lives in Texas, which she’s been calling an “extended visit” since 2005. 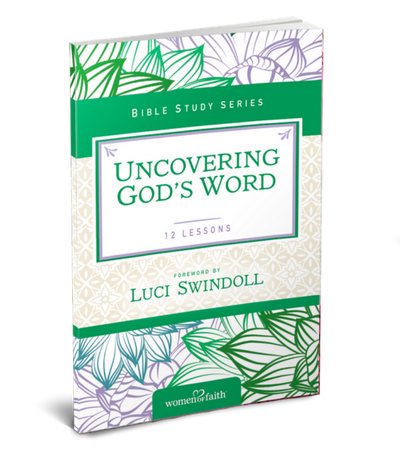 Luci Swindoll has a sense of adventure that just won’t quit. Her exuberant love for life has seen her through a career as a corporate executive at Mobil Oil, performances with the Dallas Opera, and a stint as vice president of public relations at her brother Chuck’s ministry, Insight for Living. Author, speaker, photographer, musician, and artist, Luci lives in Texas in a home that is part art gallery, part library, part studio, and all Luci. 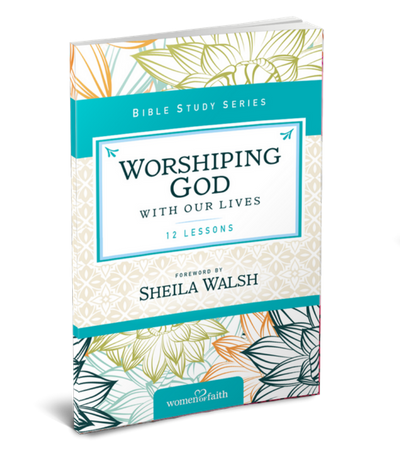 Sheila Walsh first came to fame as a Scottish-born contemporary Christian singer, and the co-host of The 700 Club. But what endears her to audiences is her story of how God met her when she was at her lowest point and lifted her up again. 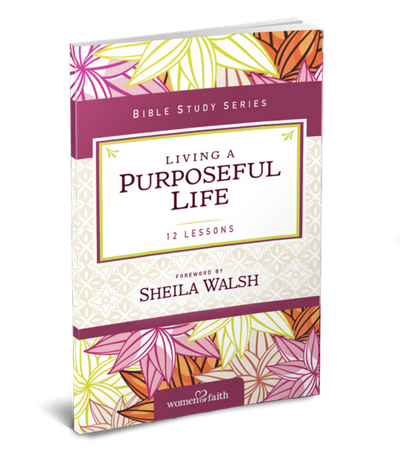 Sheila lives in Dallas with her husband and son, and she loves teaching the Bible, writing daily, her menagerie of animals, and coffee (rumor has it she’s lobbying a well-known coffee chain to add a bigger serving size called “bucket”). 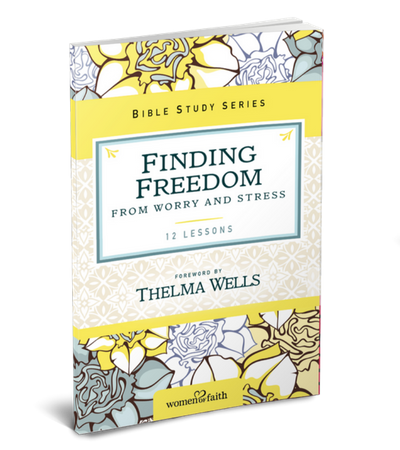 Thelma Wells is a popular author, speaker, and businesswoman. As an African-American woman, Thelma was instrumental in bringing racial diversity to the Women of Faith conferences. Thelma has had her own television show, been an assistant vice president of a bank, and an inspirational public speaker, presenting to over a million people in her lifetime. Her greatest joy is her family: George, her childhood sweetheart for over 55 years and her three children, nine grandchildren and five great grandchildren. We could all use a prison break! We may be shackled by our shame, our guilt, our past, our failures. But we have a rescuer! Jesus not only breaks us free from the prison of sin, he lavishes his goodness on us. And he does it carte blanche, no strings attached, making us one of the family. God serves up a feast of truth, grace, peace, and freedom to us in abundance—and invites us to enjoy it! Joy has a way of working its way from the inside out. When our lives are filled with joy, the symptoms are unmistakable. A twinkle in the eye. A ready smile. A skip in the step. A song in the heart. It is also the birthright of every believer, but rainy days have a way of distracting us from that fact. 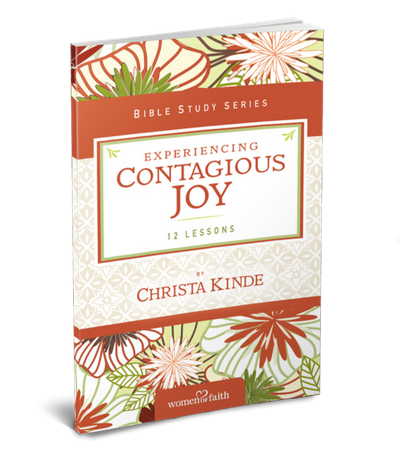 Take a careful look at this uniquely Christian characteristic and discover how to be joyful. God is love. We hear that so often, we can lose touch with the power of its meaning. Think of it: God’s love for us is so profound he went to incredible lengths to save us. But, what if we feel unlovable? We can’t experience the love of God, if we can’t receive that he loves us. Learn about your identity as his beloved, and how being filled with his love will overflow in love for others. I Need to Slow Down but I Can't! Opportunities in life abound, but doing too much will strip our gears and empty our tanks. Running hard and fast on the treadmill of life makes our souls weary, our bodies weak, and our spirits dry. Learn to recognize if your schedule has gotten out of control and how to apply the brakes to restore healthy boundaries in your life. Discover how God promises you can rest in who he is and what he will do for you. Christ’s prayer, “Not my will, but yours, be done” is easy to pray but not so easily lived out. It means surrendering your future to God, and trusting him with the things that matter most to you. But it’s not until we’re willing to place our future in God’s hands and release control that our relationship with him deepens and becomes more vibrant. 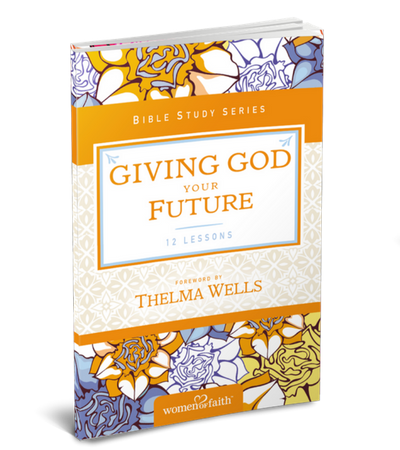 Learn to give everything to God, yielding your will to his and depending on his strength. Oh, to be able to achieve balance! We want to get to the place where our household, work, diet, rest, and exercise routines are all in harmony. But if we don’t have spiritual balance, we will never truly have equilibrium in any other area of life. We must consider the state of our heart and determine whether anything is taking priority over God. 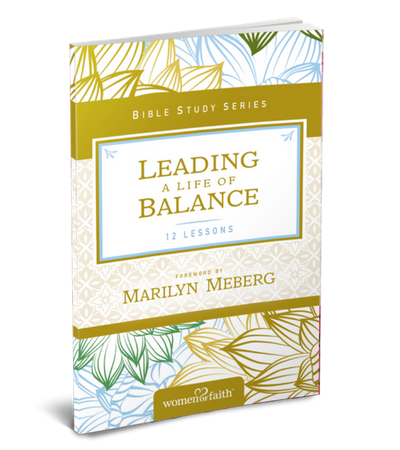 Learn to examine levels of balance and see how they measure up against Jesus’ example. 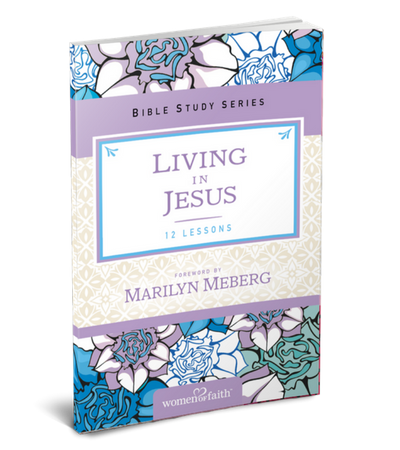 This study helps you comprehend what happens after you receive Jesus. “Anyone who belongs to Christ is a new person. The old life is gone; a new life has begun!” (2 Cor. 5:17) We may be relieved that our old life is gone, since it wasn’t working that well anyway, but if it’s gone . . . what now? Just know you’re Alive in Him, Rooted in Him, Bold in Him, and so much more. Sometimes we plod through life with our head down. We feel unimpressive, unkempt, unappreciated, and unneeded. God doesn’t want to leave us staggering under such weight of discouragement. It’s quite the opposite. 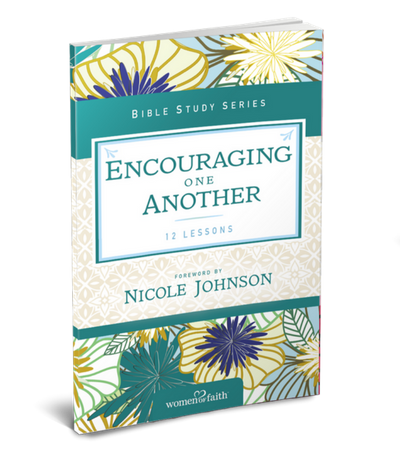 Explore what Scripture says about the encouragement God has planned for your gloomy days. There’s encouragement in knowing and believing his promises, feeling his attention on you and his value of you, and in the spirit-lifting blessings of fellow believers. How does God guide us today? How do we know what he wants us to do? Is it possible to miss his guidance and mess up his plans? Explore the different ways God communicates to you. 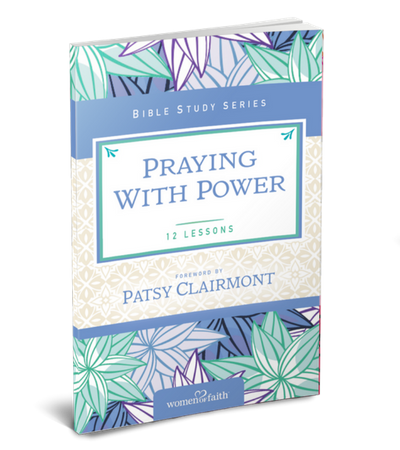 Learn to recognize his direction through the Bible, through circumstances, and through a “quiet nudging” within your spirit. Each of us has experienced something that left us broken and in pain. We live in a broken world, but Jesus came to make us whole. 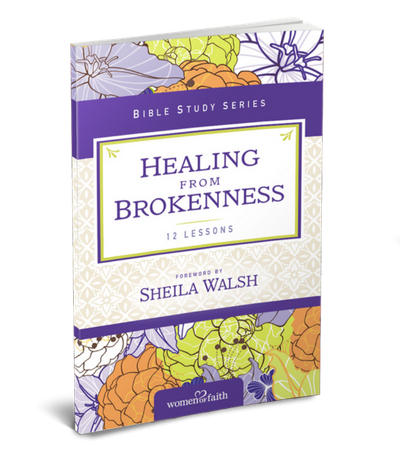 Learn how to break free of the cycle of pain and not pass on the same legacy, how to forgive those who have wronged us and be reconciled, how to get past feelings of injustice, and how to experience joy even in the midst of suffering. There are certain things we can be assured are God’s will for our lives. But what about things we don’t know? The Bible doesn’t tell us which car to buy or how many children to have. This freedom can feel threatening at times, but Jesus doesn’t want us to live in fear. Jesus said following God is a great adventure, and he is there to guide us as we seek to follow God’s will. Most of us live at the mercy of our emotions. When we’re up, we’re happy, content, and joyful, but when we’re down, we’re depressed, angry, and frustrated. What’s more, we often have mixed emotions, leaving us feeling at war with ourselves. While we can’t necessarily control what we feel, we can manage how we react. 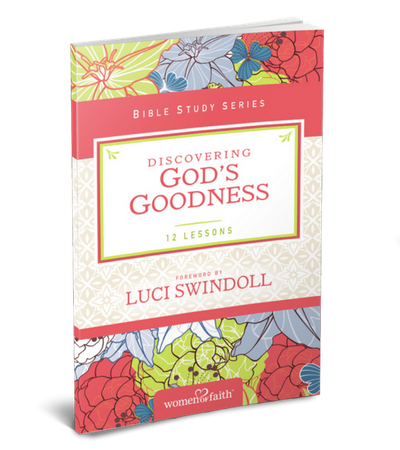 Lean into the feelings God gives us, explore what God says about them, and learn God’s perspective on how to manage them. We want to be the kind of women who exude serene calmness, cheerfulness, and acceptance, but when life gets tough, that’s really hard to do! We face disappointments, disarray, delays, and drawbacks. Life falls short of our expectations and happiness seems just out of reach. 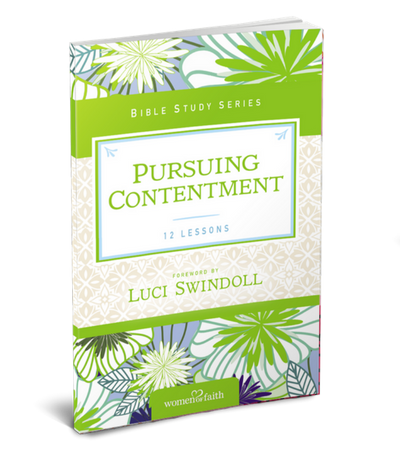 Explore what the Bible says about how true contentment is a skill to be learned. You can break old habits and patterns of thinking and choose to be content in all circumstances.